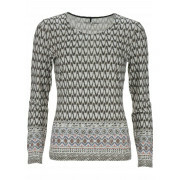 Gerry Weber presents a long sleeve top that would be ideal with a pair a cropped trousers. 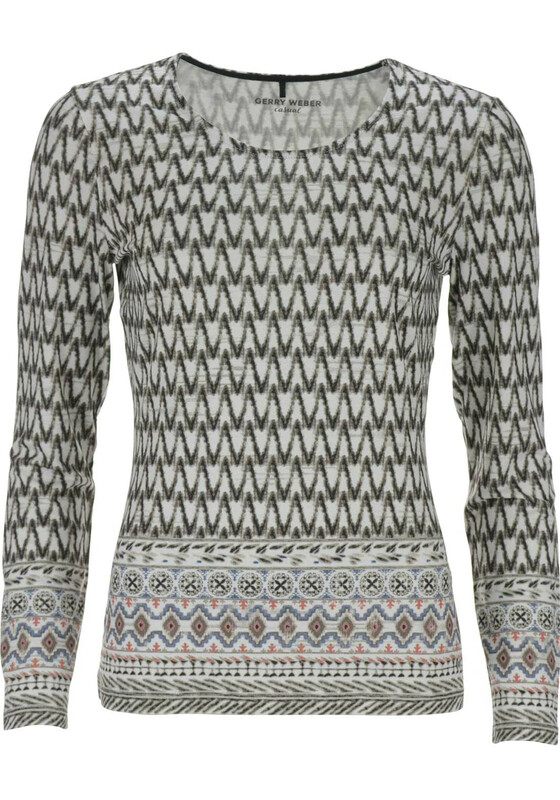 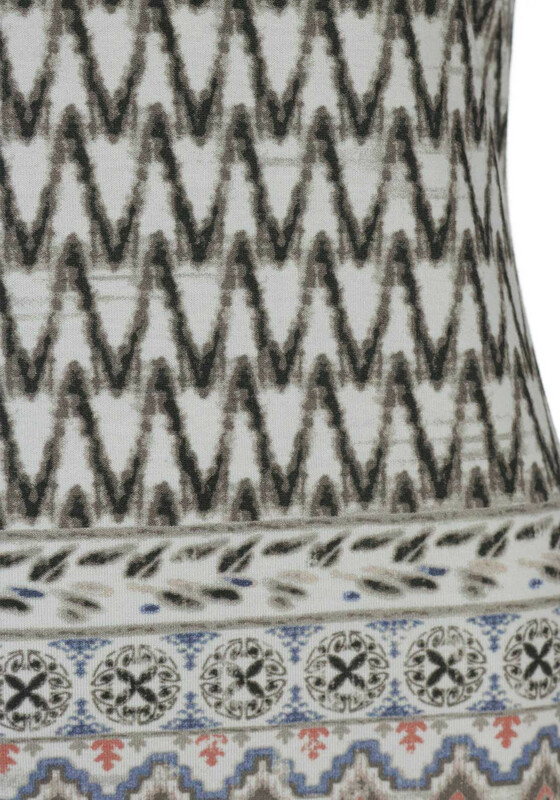 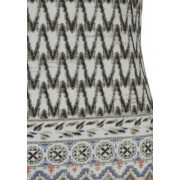 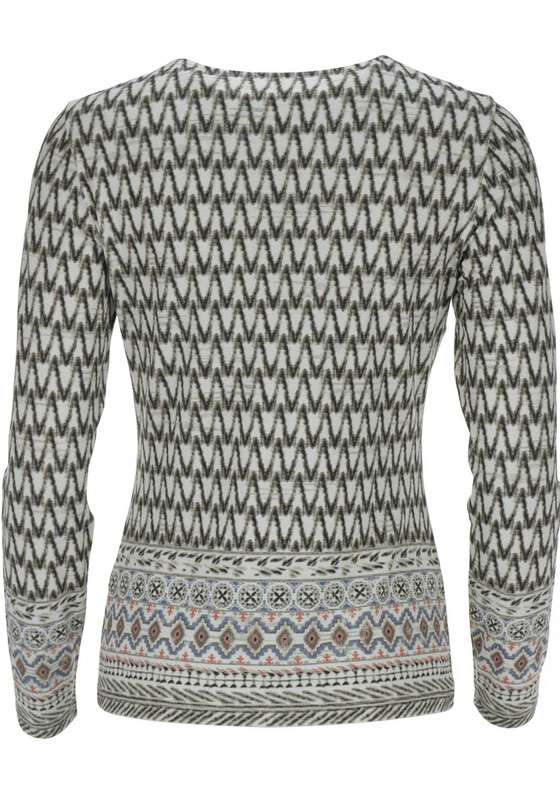 Features a rounded neckline and zig zag print with a contrasting print at the hem. 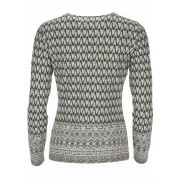 Crafted from a stretch soft jersey fabric that will feel comfortable and soft against the skin.